It's a time of changing fortunes. 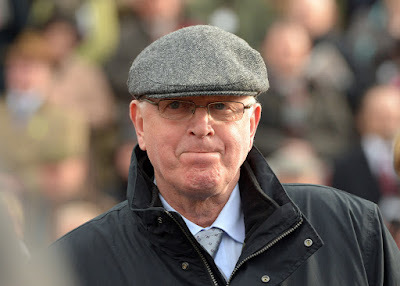 You know, the last couple of years I have had a real downer on Mick Channon's two-year-old string. In fact, 2016 & 2017 was akin to a the UK in the Eurovision Song Contest. We had fond memories of Sandie Shaw winning in 1967 with Puppet On A String but couldn't even remember the name of the multiple nul points. Following those two seasons for Mick Channon made me question what was happening. West Ilsley Stables prided itself on winning juveniles. Think back to 2002 when he concluded the season with 123 winners. No wonder I was greying at the temple. Channon much have been drinking a revolutionary hair tonic which grew his hair at the same rate he tore it out. What can we say about 2018? Channon seemed bullish with the Brocklesby Stakes winner - Izzer. The money was down that day at Doncaster. And with that tidy victory the stable were quite vocal about their 'decent'' string of two-year-olds. They were correct. Channon has been firing in winner after winner this season - whether debutante or second start. Jungle Inthebungle and Cotubanama head to the Woodcote Stakes at Epson on 1st June. He may be an outsider but it is a reflection of the string that is making the headline. Certainly, a number of betting sites and punters alike are latching onto this purple patch. If you want to follow a stable with a nice bunch of two-year-olds, then Mick Channon is the man to bet this year.